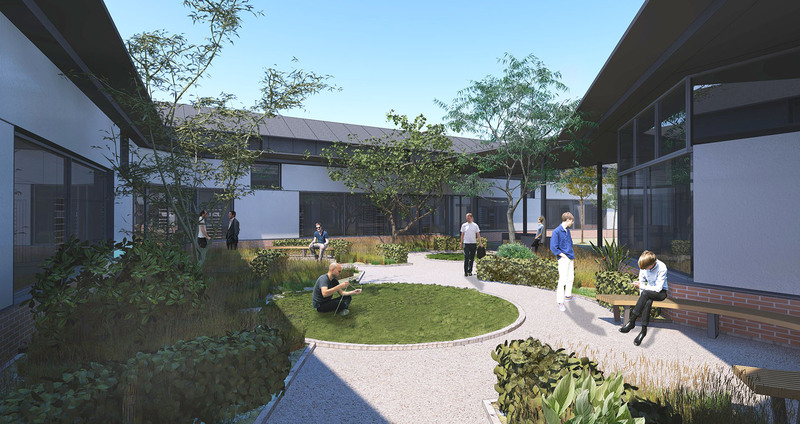 Environment Minister Mark H Durkan, along with Health Minister Edwin Poots, have today welcomed the granting of planning permission for a new state-of-the-art mental health facility. This new build facility will centralise all acute mental health inpatient beds for the Belfast Trust on the Belfast City Hospital site, with a 74 bed acute mental health unit and a six bed psychiatric intensive care unit. It will replace largely outdated buildings and is the next stage in delivering a new user focused model of care, with inpatient services delivered in modern surroundings. The redevelopment involves the demolition of existing vacant hospital buildings, construction of a new mental health facility, car parking, re-alignment of access roads and associated operational development. Key to the modernisation of mental health services is the development of a care pathway approach to allow service users the flexibility of accessing individual, person centred services that are adaptable and adjust to the individual’s needs and reduce the stigma of mental illness. The Trust estimate some 680 construction related jobs will be generated during the lifetime of the build with the potential to provide £68million of economic activity. The project will also generate training and paid apprenticeships, work experience/trainees and student work placements and future employment. For the Belfast Health and Social Care Trust this development will create one centre that will rationalise and modernise the facilities in which acute inpatient mental health services are provided. It is welcome that this decision, which helps to provide a much needed health facility, has been turned around quickly. I welcome today’s announcement of this planning decision and acknowledge the tight timeframe within which this planning approval has been granted. This represents a further key stage in the development of this important and much needed project. This new state of the art facility, when complete, will make a real and lasting difference to the lives of many patients and families across Northern Ireland. One in four people in Northern Ireland will experience some form of mental ill-health in their lives and more needs to be done to tackle the issue. This new facility will help provide much more support, better services and treatment. Services that are more effective and more humane; treatments that help them avoid chronic disability and premature death; and support that gives them a life that is healthier and richer – a life lived with dignity.